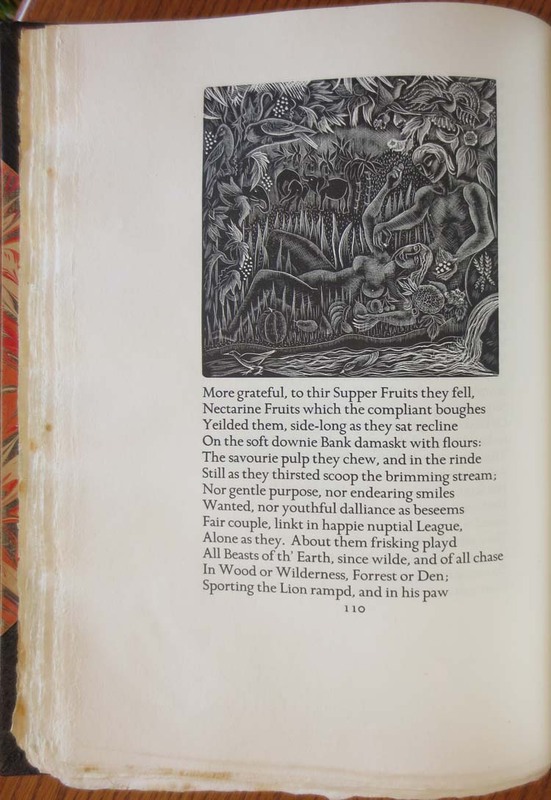 London: The Golden Cockerel Press, 1937. 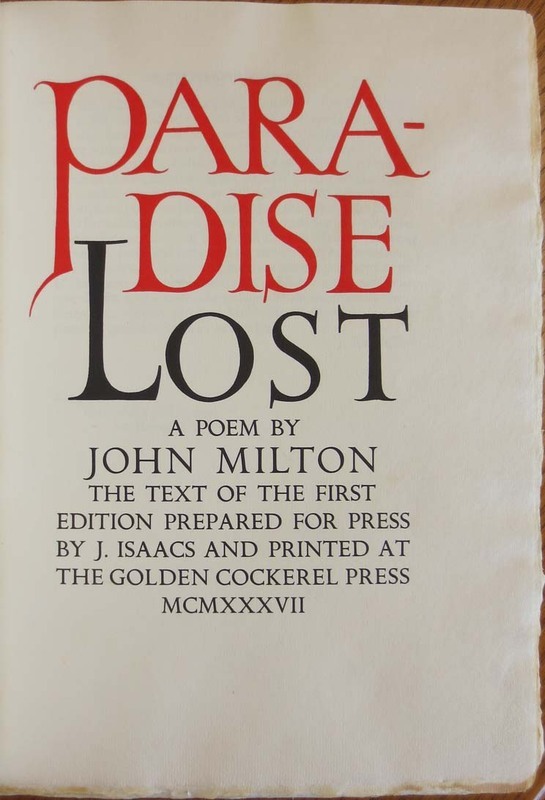 The Golden Cockerel edition of Paradise Lost is a faithful reprint of the first impression of 1667, together with the Argument and Explanation of the Verse added in the later issues for the enlightenment of a bewildered public at the request of a publisher anxious to be rid of the remaining copies. Milton's idiosyncratic spelling is exactly reproduced, as well as the original punctuation, so helpful a guide to the rendering of the verse. Milton's own lines thus reverently treated recreate for the receptive reader the very tones of our blind English Homer chanting his verses aloud and testing their music with his sensitive ear. 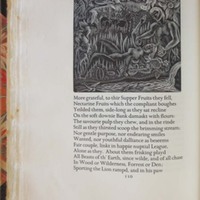 This edition, moreover, presents the original structure of the poem in its ten books, later racked into the customary epic dozen, and enables the curious to see more easily the dramatic structure of what, had Milton followed his earlier plans, might have been a five-act play. 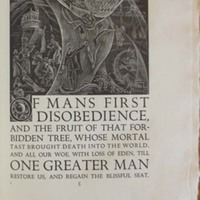 The engravings are by Mary Groom, with the text designed by Christopher and Anthony Sandford, Francis Newbery and Owen Rutter. 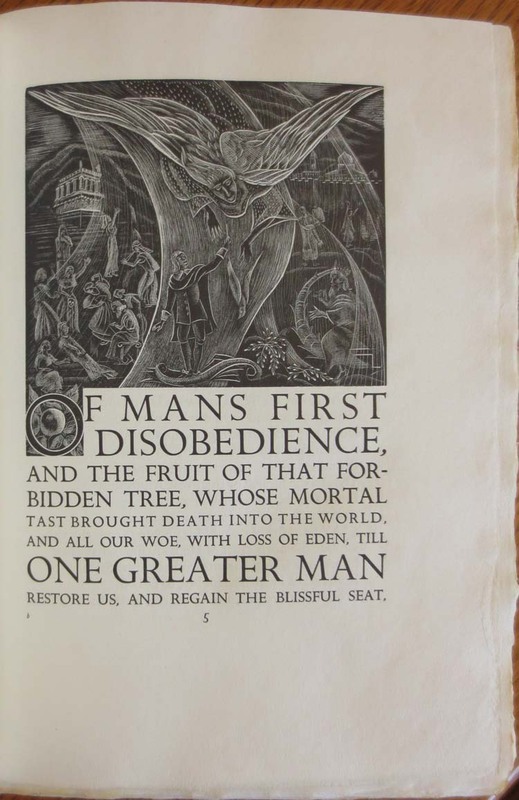 This edition was limited to 200 copies, numbers 1-5 appearing on vellum. This is copy 23.